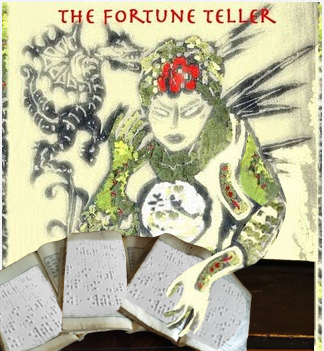 Editor’s Note: 3WM explored the lore and mystery of blind fortune telling as 2010 began, uncovering intrigue, superstition and fear. When the Lunar New Year heralded the White Tiger in the East mid-February, most people of Western mind had forgotten New Year’s parties and parted ways with irksome personal resolutions. Yet every year that New Moon portends much from the moment its obscure rays reach across the Orient setting in motion a series of events for each sign and universal soul. Reverence, custom, superstition and desperation are just some of the forces that send people searching for guidance through and protection in the unknown year ahead. Wouldn’t you want to know if something (like an accident) or someone (like your future mate) were waiting around the corner? In Korea, such prescience comes from doctors of divination. Many of these diviners, having studied the science of divination for years, approach each reading with meticulous professionalism. There are no crystal balls or smoke and mirrors. What the faithful who visit these diviners depend on is a combination of Chinese astrology and a specific Korean book written by a scholar during the Joseon dynasty in the 1500s. 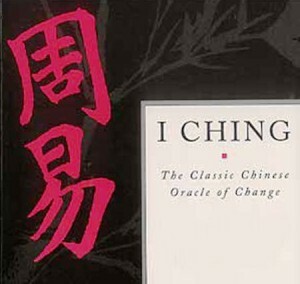 The Chinese reading is based on an ancient Chinese book of philosophy dating back more than 2,000 years called “I Ching” or “The Book of Changes”—many say it was first a divination manual and only lat er a philosophical text—and a book written by the Joseon scholar Lee Ji-ham, also known as Tojeong (the book is called “Tojeong bigyeol” or the “Secrets of Tojeong”). Aspects of both texts are consulted by Korean diviners of saju, or four pillars, who read one’s fortune based on the year, month, day and time of birth—without this specific information, there’s no point in visiting. Despite the science and numerical reliance of traditional divination, there is an obvious mystery that enshrouds divination or fortune telling as it is commonly known. That mystical aura stirs up certain emotions in Koreans as I found when I started asking people about it. 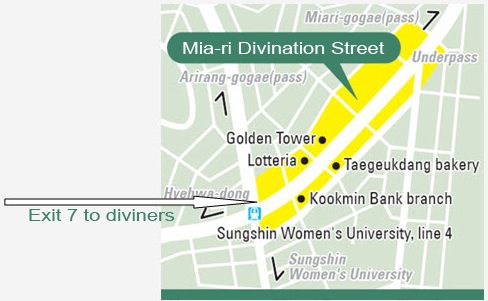 When I first made a call to a Korea information center in Seoul to ask where the traditional core of diviners was, the woman on the other end reacted to my question by asserting that I must have been mistaken. “You mean the fortune reading cafes?” she asked referring to the trendy new cafes in Seoul’s fashion district of Apgujeong-dong where mostly young couples gather for casual readings over coffee or tea. When I repeated that I needed information about the traditional and not trendy, she acted as if I’d asked about the devil and quickly said she had no idea and knew no one she could ask. Click. A friend I asked responded rather abruptly wondering what “trouble had come to me” and asking “why do you wanna find them?” The only indifferent person was a devout Christian who asked me, “do you actually believe in that stuff?” Overall I found that if one is looking for or going to a traditional fortune teller, there is a certain stigma attached to that person by a majority of Koreans—something must be wrong and a right is in desperate need. While doing leg work for the story I began to think back to any earlier experiences I had with divination and occultism. Middle school in a small New England town came to mind; a place where mischief and sports mingled with the usual pains of growth, grades and girls. Also a place where teachers, as most misbehaving middle school kids know, could make life hell. And there’s always “that” teacher. His name was Mr. C, a narcissistic marathon runner with perfectly parted hair, and boys despised him for the usual reasons: he favored and flirted with girls; embarrassed and badgered buys; and walked around like he owned our world. Easy to abhor. At some point—it was summer so it was the end of the school year—crazy ideas of vengeance surfaced among the boys. It was widespread and a popular topic of conversation: vandalism, violence, powerful pranks, salacious rumors and so on. A kid I’d known since first grade who was a gifted artist, especially at drawing wild Tolkienesque pictures, had a copy of “The Satanic Bible” by the occultist Anton LaVey and said a spell could be cast. 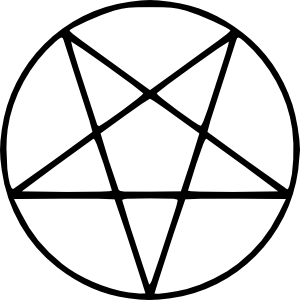 All we needed were a pentagram, pictures and fire. Nothing to it. The idea was tossed around for a few weeks and I can remember one friend constantly referring to Led Zeppelin, AC/DC and the Rolling Stones—bands we idolized—regarding their lyrics and rumored association with the occult. Then one night a few weeks later our group gathered, a pentagram was drawn on the floor of an old barn, words were read and pictures were burned. A rather sloppy and silly ceremony; LaVey probably would have laughed (or sneered) and slapped us. But I remember an odd air entering the space once the pictures took flame, and then spiders. Not many. Maybe ten or so but they could be seen in the brighter light and were moving toward the small flames. Maybe they’d been there in the darkness all along. It was an old barn. Nobody spoke about it later and I don’t remember anyone mentioning it again since that night. When I asked people where in Seoul I could find traditional diviners, I finally got Kim Soon-ja a volunteer at the Seoul Global Center who told me to go to Mia-rigogae in northern Seoul. When I first asked, “Do you have any idea where the traditional blind fortune tellers can be found?” she quickly said that she needed to check and would call me back. Her rapid response told me that she already knew but wanted to make sure she gave me thorough details. Less than five minutes later my phone rang and Ms. Kim said, “Okay, there is an area in northern Seoul where they can be found.” “Are you sure this is the real place?” I asked. “Sure!” she answered matter-of-factly. She then chuckled adding, “We joke with people who are having some problems that they should go there.” But it didn’t sound like she thought it was funny. That area has been home to blind urban diviners since the late 1960s after they relocated from their village at the foot of Mt. 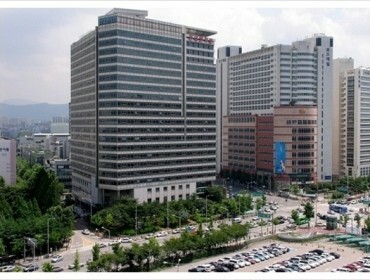 Nam (Namsan) in central Seoul due to urban redevelopment plans during president Park Chung-hee’s administration. 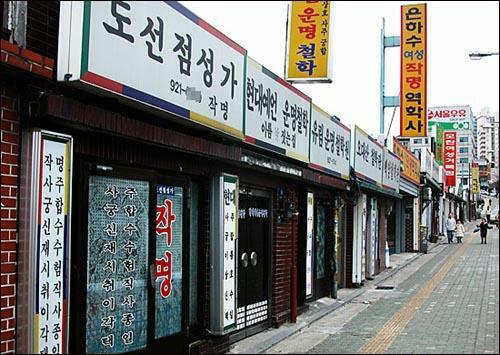 Their village near Namsan was a shantytown and when relocation was required, one famous diviner, Lee Do-Byeong, decided on the Mia-ri area because real estate was cheap and the subway at that time reached that far north; economics and logistics. Yet, as the Line 4 subway hummed north, I wondered what other reasons Lee had for choosing the site; spiritually something had to be at work. Stepping out Exit 7 at Sungshin Women’s University Station on a windy winter’s day I was met by the concrete catchall that is Seoul: banks, churches, coffee shops, a doctor’s clinic. No mist. No street-side stalls with diviners foretelling the future. Just another anonymous subway exit to me. Heading north up the sidewalk I noticed very little except the usual rush of people brushing past and the din of traffic on my right. 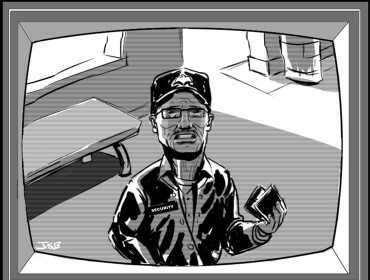 I thought about asking an old security guard I spotted directing cars into parking but recalled how Koreans had responded to my earlier inquiries. Just a few moments later I spotted the first “yokhagwon” sign on my left down a side street which indicated a diviner’s place of business. As I continued ahead, the main road on the right began to ascend above the sidewalk creating a rising wall against a row of doors on the left, many only a few meters apart. This was the place. The first diviner that I met with, Baek Il-hong, went blind at the age of three from measles and said of her own fortune: “It said I would be a diviner of the owner of a brothel.” History and the blind seers themselves say that divining was one of the few jobs the blind were able to pursue in the past. Masseuse and prostitute were two others. Now in her 60s, Baek has a right eye that’s milky offering only enough vision for her to identify movement and shapes. Her left eye has no vision and remains closed. Yet it is clear that she must have been pretty as a younger woman, something that she was not shy about admitting. She explained that she began her studies at the age of eight saying that she knew “studying hard was my only chance.” Although Baek offered few specifics about her grade school work and secondary studies, she emphasized that she used some elements of I Ching and the 12 animals of the Chinese zodiac but mostly relied on Tojeong. 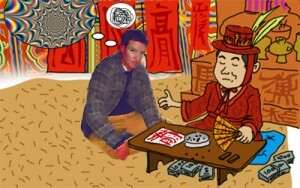 At the age of 20 she did her first divination in Mia-ri and has been reading fortunes ever since. “Back then it was much busier because there were fewer of us,” she said. “In the last 20 years many more diviners have moved here.” It is rather clear that Baek has done well given the size of her space on the main drag and the upkeep on her traditional Korean home that sits behind the frontal façade of business signs and glass. What is her secret? “I have built a reputation over the years with my divinations,” she answered. “People know if you can do your job….then they come back.” Baek listed mothers searching for good omens about their kids’ upcoming tests, single women wondering about their luck in love, sick people hoping to ward off evil spirits and politicians desperate for a read on their political future as just some of the regular visitors. “Politicians come often and are the most reactive,” she said regarding the actions of politicians who don’t like her reading. “If they don’t like what they hear, they will get up and walk right out in the middle.” However, she said, they often return a year or two later: “They come back because they see that I was right and they want to get another reading.” In fact, I found, the election season is one of the busiest times for diviners. There are doubters who belittle and snicker at the idea of divination dismissing it as mumbo jumbo or in the same area as snake oil. It would seem that most of the skeptics have never been to a fortune teller and that they generally pose the same question that my devout Christian friend did when I asked him about it. Thus, I wanted more tangible evidence and began asking Korean acquaintances if they knew of any actual situations where the diviners had told their family something that had implications. Most people, again, didn’t want to talk much about it if they knew anything or just said that that was something only grandparents would know about. But then a younger Korean friend whose grandparents have visited diviners for many years shared a personal story involving her own parents. It began with her grandmother visiting a diviner to find out how compatible her future parents were. Apparently the diviner said the two should not get married given what the four pillars forecast; there were bad omens. Nevertheless, the couple went ahead with the wedding (something that the grandparents still have not let go). Following the marriage, one grandmother again paid her visit to the local Buddhist temple to have a monk read the future of the marriage. (Many monks have similar training to what diviner Baek and other diviners receive; they are also able to read the four pillars.) This time the reading advised the couple not to have a son in the year of the pig under the Chinese zodiac of 12 animals. If they did, the father would die. What followed was the birth of a son in 1995, the year of the pig. Within months the father was diagnosed with cancer in his early 30s. He fought hard against the disease for six years and then passed away at the age of 38. His daughter says that her grandmother still visits the diviners every year and often has talismans to ward off evil spirits. Upon entering diviner Huk Jin-joo’s place of residence and reading, my interpreter and I were met by a woman who directed us to a small room where a traditional Korean table rested in the middle of the floor, several books on its surface. We were told to sit, and soon after a petite middle-aged woman with both eyes shut entered unaccompanied and sat on the opposite side of the small wooden table. “What is it that you wish to know about?” Ms. Huk asked regarding the type of fortune we required. I told her that I desired the typical saju—the reading of my four pillars—and provided the necessary points of information. She ran her fingers over the Braille in her text and then produced what is called a santong which is a case for bamboo fortune slips that looks something like a small bronze egg. She shook the case for about 30 seconds producing a sound that was like rice in a jar and then withdrew the slip that had found its way to the slot. We found later that Huk had lost her eyesight in middle school because of cataracts and had been sent to a Buddhist temple on Mt. Seobaek in the southeastern part of the peninsula—one of a series of mountains that make up a terrestrial stratus and spiritual spine that stretches from Mt. Baekdu in North Korea on the border with China to Mt. Jiri near the southern tip in the South. “It was hard because I was alone without my parents but the monks were kind and taught me many things,” she said. “I learned how to accept my condition.” Huk later went to a school for the blind and started divining at the age of 20. There is a certain comfort and tranquility that Huk exudes which she attributes to her life and, especially, her family. “I was able to marry and we have a son and a daughter,” she explained. “Both of them had a good education and are now married.” She told us that she got her masseuse certification so she could earn additional income to help put her son and daughter through college. She now has a regular clientele seeking readings, many of them from Japan, who either fly to see her or fly her to see them. “Business has always been good because I’ve established a reputation and relationships with visitors,” she said. 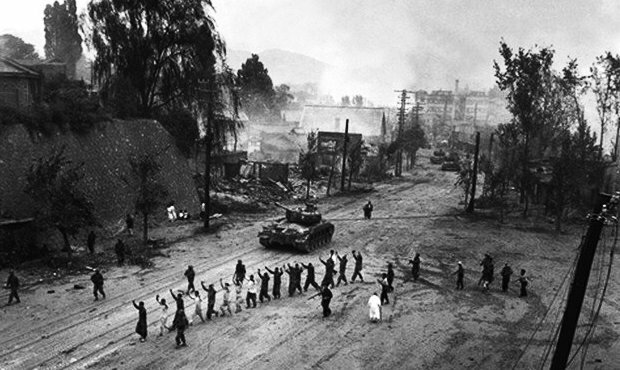 North Korean soldiers occupying Seoul during the Korean War lead people to Mia-ri and to their deaths. Beyond the economics and logistics that brought diviner Lee Do-byeong to Mia-ri in the 1960s, there is another factor that makes the area spiritually consequential—just to the north over a knoll rests Mia-ri Public Cemetery where large numbers of Koreans were buried during the Japanese Colonization from 1910 to 1945. The poet Yi Sang(also Lee Sang),who was imprisoned in Japan in 1936 and died of tuberculosis in a Tokyo hospital in 1937, was among those laid to rest at the site. In addition, during the Korean War when North Korean troops occupied Seoul, bodies en masse were dumped there. It is said that the site became “saturated” so other locations in the city were designated as cemeteries including an area near Mt. Mangu which sits on the northeastern edge of the city. The line becomes blurry as to whether diviner Do placed any importance on this—I found scant information, and repeated attempts to contact professors at Seoul National University and Yonsei University were fruitless. However, when I asked diviner Baek what made the area special—I hadn’t mentioned the cemetery—she said, “the gods reside here,” adding that many souls had come and gone from the cemetery. With that I was only left to speculate that, perhaps, some souls had never gone because of the duel tragedies that the peninsula faced in the 20th century. Diviner Baek read my fortune with the same seriousness that a doctor some years ago after I had a nearly fatal car crash told me that I would need emergency surgery. Nothing was watered down. Saju provides general information about one’s life and specific details about what the months ahead may hold. With my fortune slip between her fingers, Baek said I have no luck from my parents or siblings—a simple “you’re on your own.” I should not inherit anything or it will all be lost. After confirming that I am not married, Baek said that was a good thing because it would have been ruinous. “You will find someone next year,” she prophesied. “She should not be overly intelligent because conflict could arise.” Then she turned more serious and asserted that an evil spirit had come to me when I was 29; this I was at first perplexed by. “You need a talisman,” she advised. “You must wear it for seven days then burn it.” She was not happy when we asked to move on but she did. A promotion from January to March. Meeting good people from April to June. Don’t travel to foreign lands in the summer. I will live to be 89. From 55 to 60 I will do much philanthropy. “Have you considered the talisman?” she asked. Could we continue, I said. “You should open a hotel or an academic institution,” she added. “The talisman?” Her insistence made me return to 29—and the Korean way of determining age. A baby’s age is one year old at birth and then he or she turns two with the new year. After thinking, it approximately worked out that I was 29 “Korean age” when I started having intestinal problems related to that surgery my doctor notified me about some years before; serious problems that incapacitated me for several days at a time. Evil spirit is almost an understatement. But I could be stretching for a connection. I could. 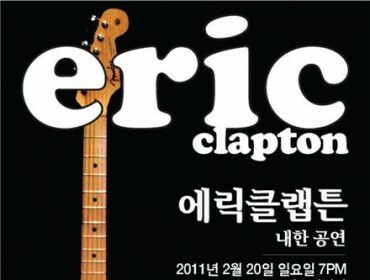 Talismans have a somewhat mixed reputation in Korea. The skeptics see them much like divination itself and also as intricate gimmicks that serve as deal closers for diviners given their expense—the talismans are available at different prices according to the situation much like the treatment necessary for as doctor’s diagnosis. They can run from a few hundred dollars into the thousands and, reportedly, beyond five figures (the most expensive are often purchased to drive out serious illnesses). Believers see them as cathartic and protective, purging evil entities and warding off those foreseen to come. Diviners supposedly take great pains to consecrate the talismans spending hours, days and months praying to the gods. Diviner Baek explained that the talisman I needed would cost several hundred dollars while adding that she had spared no effort in preparing it for its purpose. “I prayed to Buddha at the temple for 100 days with that talisman,” she said. Baek said the talisman should be kept close to my body for the entire time and then burned at the end of the full seven days. It is important to understand that any good fortune that is foretold hinges on the talisman as the facilitator. The reading that diviner Huk gave was more relaxed than Baek’s but there was no lack of gravity. Once she read the fortune slip, she moved her fingers across the Braille in her text and began with something that almost made me chuckle as a resident of Korea. “You must beware of people named Kim, Park and Choi from January to April,” she advised. What did she mean? “People will try to get in the way because of envy or jealously, to prevent success.” I wondered what would happen if I left Korea but didn’t ask. “Beware of possible law problems from January to July,” she continued. “The end of the year will be good.” But then she stopped for a few seconds and said, “It could be a very good year or a bad year.” I somehow knew what was coming next. “You need a talisman,” she said firmly. “Is there an evil spirit?” I asked. “No, you have survived bad things in the past well,” she told me. “You need this talisman to assure the year is good.” Huk’s talisman was slightly cheaper than Baek’s but she told me I would have to follow the same ritual. “Do you wish to protect yourself?” she inquired. It would be taken into consideration, I told her and myself. Then I asked about my parents and their health. “Both of them will live long; health is good in your family,” she said. “But your mom has a fortune of the legs and she will have some problem here,” she continued. “Your father should beware of the liver and stomach.” The first thing stopped me cold. My mom already has some problems with her legs related to neuropathy. My father though, gratefully, has not had any serious liver or stomach problems. Is it random? When I asked if she’d ever read her own fortune, she said her four pillars forecast her loss of sight. It was the same thing Baek had said and I no longer saw it as a gimmick. Perhaps such little things are what keep anyone coming back. Nothing ever happened to my middle school teacher and I don’t think any of my friends thought it would. Nobody believed in what we were doing except maybe the kid who came up with the idea. But what if something had happened? A car accident or some freak health problem? Would we have believed? In a sense we were casting a spell, whereas diviners are delivering a message from somewhere based on one’s birth, on those four pillars that define our entrance into this world. How fatidic is that moment? What forces had to meet for each of us to be born? What if a great-great grandfather and mother had never met, fallen in love and conceived a child? How easy is it to believe that our lives are somehow shaped and affected by all those pillars before us that led to our one moment in time? I had thought that most people visit diviners because they want answers to questions but what I found is that questions are all I’m left with as I consider the talisman and everything that is the blind diviners of Mia-ri. Dae-hyun (Marcus) Chi and J.H. Kim Contributed Reporting.